Who is ready to shed a tear for Wall Street? The moguls bet big, and lost. Now, if we are to believe their whining, they are preparing to pay the piper. “We played the old Beatles song ‘The Taxman,’ on our trading floor this morning,” bond fund uber-manager Bill Gross told Bloomberg on Thursday. Oh lordy, hard times are coming! Although, you know, those times might not be quite so hard as the days back in the mid-’60s when George Harrison felt himself compelled to complain about a 95 percent “super tax.” If, during the negotiations to avoid the “fiscal cliff,” President Obama plays a level of hardball that was in short supply for most of his first term, the wealthiest Wall Streeters might see a return to Clinton-era income tax rates on the rich. Anything more meaningful, like a hike in the tax rate on capital gains, or an end to the exemption for carried interest, will require a major breakthrough — successfully bashing through the obstructionism of House Republicans who seem unlikely to accede to any elements of Obama’s agenda, no matter how forcefully the president seeks them. So come on, if the sharp drop in the stock market this week really was Wall Street’s reaction to Obama’s win, then the 1 percent doth protest too much. At the most, they’ve lost a skirmish. They’re certainly not under any immediate danger of losing the war. And one thing’s absolutely sure, their arrogance and sense of entitlement haven’t changed a whit. Which is not to say that the overall climate isn’t different, or that Wall Street will escape this election completely unscathed. Wall Street turned against Obama, spent hundreds of millions to beat him, and got crushed. The president certainly doesn’t owe the bankers anything. There’s no great systemic crisis looming over the world, forcing the White House to summon all hands on deck to keep the financial sector afloat. In the Senate, Massachusetts Republican Scott Brown, a man who was instrumental in significantly weakening the Dodd-Frank bank reform act at the last possible moment, has been traded forElizabeth Warren, a woman who can be counted on to do everything in her power to strengthen oversight and regulation of the banking industry. Mitt Romney’s accession to power would have resulted in the gutting of Dodd-Frank, lower taxes on corporations and the wealthy, and a White House inhabited by one of Wall Street’s very own. Today, all those tantalizing potential gains are as dust. Very, very expensive dust. But let’s not get too excited. What’s money to Wall Street? The $400 million or so spent by Wall Street in support of Romney is a rounding error for the financial sector. If anything, the amount Wall Street spends on lobbying is likely to rise in the next few months, as the battle to finalize Dodd-Frank’s rules hits the home stretch. That’s right, Dodd-Frank, signed into law by President Obama more than two years ago, is still unfinished. 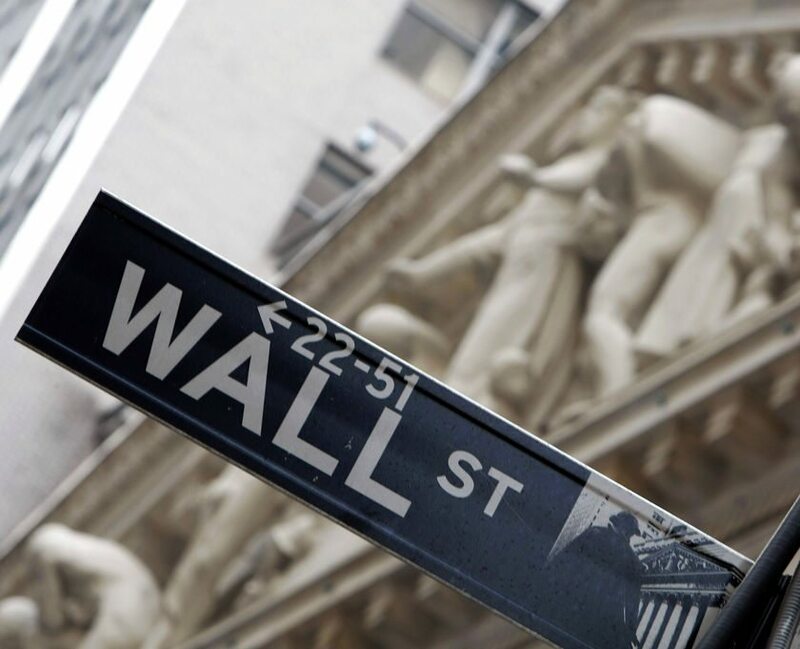 Hundreds of rules have yet to be finalized — including those related to the all-important Volcker rule — the provision of Dodd-Frank that would prevent banks from making proprietary trades with taxpayer-insured capital. Even worse, hundreds of necessary Dodd-Frank rules haven’t even been proposed. A Romney win wouldn’t have stopped those rules from getting hammered out, although the people making the critical decisions would change, and could be expected to be more receptive to Wall Street “concerns.” The point is, Wall Street is likely to spend even more cash now to lobby the rule-makers than it would have before, despite the hundreds of millions wasted during the campaign. The spigot remains on. There’s also a good question as to whether those hundreds of millions were spent in vain, even if the ultimate goal of kicking Obama out of the White House wasn’t met. Without the huge sums of cash spent against him, Obama might have coasted to an even bigger victory, giving him an undeniable mandate. Every penny counts, even when it looks like the battle is lost. Wall Street will never surrender. It will fight on the beaches, in the fields and streets and hills. It will mobilize its lobbyists, contest every law in court, move heaven and earth to ensure the next treasury secretary is just as accommodating to financial sector interests as Timothy Geithner. Wall Street will not be abashed. Let’s just stop and savor that headline a moment, before getting to the details. Two days after Barack Obama won a convincing reelection victory, becoming the first president since Ronald Reagan to gain more than 50 percent of the popular vote in two elections, overcoming the enormous sums Wall Street spent to defeat him, USA Today manages to publish an article suggesting it is Obama who must change his ways to please Wall Street, and not the other way around. So what’s he supposed to do? Well sure, that’s undoubtedly his No. 1 priority, and rightly so. But one would think that perhaps some of the responsibility for getting a deal done should be shouldered by the House Republicans. We know Obama is willing to compromise. But what evidence do we have that House Republicans own a dictionary that even includes the word “deal”? Excuse me? This is absurd on its face. Obama spent his first two years trying to craft a stimulus bill and a health reform bill that incorporated Republican priorities (big tax cuts, the protection of a private market for health insurance). Republicans sneered at his efforts at bipartisanship. Mitch McConnell famously made his top priority clear from the start: ensuring that Obama would not be reelected. We haven’t even finished counting all the votes in Florida and McConnell is already reiterating his commitment to oppose Obama. When a sitting president gets reelected, shouldn’t it be the defeated opposition’s turn to “offer an olive branch”? Win, lose or draw, Wall Street is always going to demand weaker regulations. How about we first let the White House and Congress finish putting into place the regulations designed to prevent Wall Street from wrecking the financial system again, before we ask for those rules to be gutted? Obama has one. It’s called the American Jobs Act. The House refused to pass it. Wall Street needs to make up its mind. It wants a deal to avoid the fiscal cliff. OK, great. But it doesn’t want higher taxes. OK, not so great. Because a deal without higher taxes means bigger spending cuts, which will hurt the economy and depress hiring (which Wall Street also wants). Funny, isn’t it? The five things that Obama needs to do to “please” Wall Street are all things that Wall Street was expecting Mitt Romney to do. It seems a little unfair to spend almost half a billion dollars to defeat someone, and then demand that he do what your candidate was campaigning on. What was the point of even having an election, in the first place? For the more cynical among us, not to mention those of us named Matt Taibbi, there may be no point in this exercise. Regulation of Wall Street in Obama’s first term was weak, and the same will probably be true in the second term. Obama failed to raise taxes on the rich in his first term, and he may fail again in his second term. Inequality grew in his first term, and might keep growing in the second term. Wall Street won’t waste much time licking its wounds, or listening to old Beatles tunes. Florida Republican Sen. Marco Rubio is already making plans to visit Iowa in a few weeks — you can bet Wall Street’s money-men are figuring out whom to place their bets on in 2014 and 2016, and sending marching orders to their proxies in Washington. But make no mistake: Change did happen. Obama’s Consumer Financial Protection Bureau had barely gotten started meeting its charge to protect Main Street from Wall Street, and would have seen its power sharply reduced under Romney. Now the CFPB gets a real chance to put its nose to the grindstone and carry out its mandate. Elizabeth Warren will enjoy actual power. President Obama’s leverage to end the Bush tax cuts for the rich has never been higher. Wall Street hasn’t changed and won’t change, but its favorite son, its great private equity hope, is now a footnote to history.